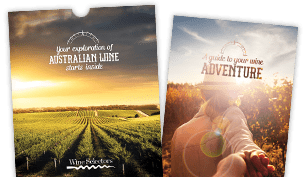 Travel through a different Australian wine region in every delivery, tasting the tried and true varieties and exciting new discoveries. Released at a frequency that suits you. Choose from one of the Pre-made Cases below. Experience Hunter Valley cellar doors first hand, from the classics to traditional with a twist and new varietals. These winemakers are driving innovation and showcasing their talents with grapes from the Hunter and afar. Released every 8 weeks. 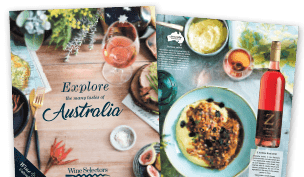 Discover the true diversity of Australian wine from classic region and variety pairings to new and unexpected varieties. Released every 8 weeks. Ideal for all occasions and all tastes. Includes wines that are great to share, pair well with food and selected to enjoy now with friends. Released every 4 weeks. Dedicated to our most popular varietals of Chardonnay, Sauvignon Blanc, Shiraz and Cabernet Sauvignon. Learn about your favourite varietal as you discover the influence of region and winemaking style. Released every 8 weeks. Sparkling lovers don’t need a special occasion to enjoy the splendour of Sparkling. Discover small batch and hidden gems direct from cellar doors that celebrate all the wonderful styles, flavours and colours of Australian Sparkling. Released every 8 weeks. 6-pack delivery. 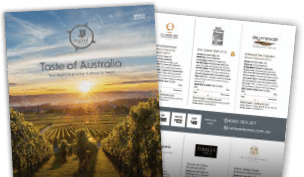 Superior quality wines that are not just benchmark wines for their variety and region, they are also evocative, promote conversation and celebrate stylist quirks. Released every 8 weeks. Dozen delivery. Superior quality wines that are not just benchmark wines for their variety and region, they are also evocative, promote conversation and celebrate stylist quirks. Released every 8 weeks. Best of class befitting the Chairmen of our Panel. These are wines for special occasions or to make any occasion extra special. Ideal for the collector and for cellaring. Released every 8 weeks. Customised Releases allow you to create your own selection of wines based on the varieties you prefer. You select the varieties you love and we’ll create a collection for you from thousands of wines, presenting you with a unique tasting experience in every delivery.